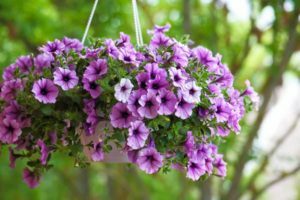 Spring Fundraising – Nelson Nursery, Inc.
Sign up now for the 2019 Spring Flower Fundraiser. Our flower fundraiser is a program exclusively for groups located in central Minnesota. Does your group need to raise money? Are you looking for an easy and successful fundraising program? Flower fundraising with Nelson Nursery is both profitable and fun! Join the many organizations that have had great success selling our beautiful, quality products. We have 43 years of fundraising experience working with all types of groups and organizations. Our Spring fundraiser takes place February-March with delivery just in time for Mother’s Day. All of us at Nelson Nursery are committed to helping you be successful in your fundraising efforts. Our knowledgeable staff is eager to help you every step of the way. We delivery directly to you, with our trucks, to help save on shipping cost. We supply all the tools and sales aids you need to be successful. Beautiful products just in time for Mother’s Day. Gift Card fundraising is also available. ALREADY SIGNED UP FOR 2019? Click here to view and download our 2019 PRODUCT CATALOG & ORDER FORMS.